Even if you’re not a big name company, you should still spend some time refining your content marketing strategy. It will help boost your online presence and attract more customers to your website. 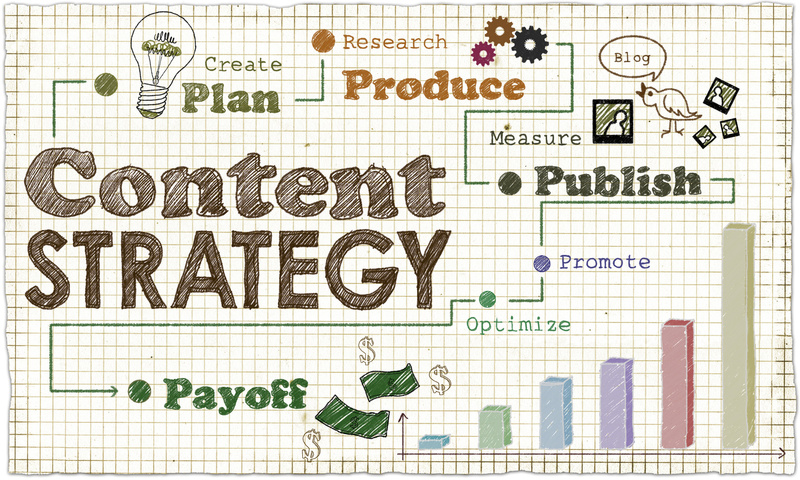 Follow these 7 tips for an effective content marketing plan. The digital marketing industry is set to be worth over 335 billion dollars by the year 2020. That figure sheds light on the fact that businesses have found, through the collective power of various digital marketing disciplines, that they are able to drive high levels of engagement to their products and scale their operations reliably. Among the various digital marketing methods available in the modern advertiser’s toolbox is content marketing, which is the producing and sharing of online material in a variety of formats. If you’re a business owner interested in leveraging content marketing to scale your organization, you may be wondering where to start. To help you answer that question, our team has put together this list of 7 tips for creating an effective content marketing plan! To create a successful content marketing plan, you’ll need to understand what it is you want to accomplish. Because moving towards a singular goal should be at the core of every content marketing decision you make. Are you trying to drive sales of a specific product? If so, you’ll want to make sure an appropriate call to action is included in all of your content marketing pieces. Are you simply trying to drive brand awareness? If so, you’ll want to be less sales focused and more focused on providing value for the sake of building trust in your content marketing. Figure out your purpose early, set goals accordingly, and be sure to reference them in each step of your content marketing journey. Defining your audience prior to content creation is helpful for a couple of reasons. First off, it helps you better understand what content distribution channels to lean on. Second, it lets you figure out what the content of your pieces should be as you’ll know what topics would be the most valuable to your targeted audience segment. Not having a defined audience could lead to investing time and money in irrelevant pieces. Avoid that blunder and be sure to drill down on the “who” of your content marketing plan prior to moving forward. Content marketing pieces can be published as blog posts on your website, as snippets on social media, as videos on YouTube, as audio files on SoundCloud… you get the picture. In general, you’ll want to produce pieces in as many formats across as many channels as possible that are relevant to your audience. If you have limited time and budget, however, you’ll want to drill down on what the most important content formats are to the people you care about and focus your attention on them. Content marketing needs to feel genuine in order for it to connect with its intended audience. Today’s internet users are savvier than ever. They can spot a blatant marketing piece from a mile away. Because of that, you’ll want to make sure your content marketing pieces provide more value to your customer than they provide in value to you. That means not being disruptive with your branding and making sure that any sales pitches in your content get saved for the end of your piece as a call to action. If you’re having trouble striking that balance of being genuine and also propelling your brand, consider hiring a professional content writer. Click here for more info. No matter what type of content you’re producing, your pieces only have a chance to get found on today’s cluttered internet if they’re leveraging basic SEO principals. What that means is that whatever problem your content marketing pieces address, you should make sure that your pieces’ title, body, meta-data, transcript, etc. are using phrases people are searching for on Google. The keyword/keyphrase research required for solid SEO can be accomplished by leveraging tools like ahrefs, or by bringing on a digital marketing agency to help you out. No matter which formats you chose to focus your content marketing plan efforts on (blog posts, social, video, etc. ), you can and absolutely should repurpose that content and republish via a different format to expand your reach. For example, if you focused your content marketing on posting videos on YouTube, you could take your video’s transcript and publish it as a blog post. That simple process allows you to create an additional piece of content with nominal effort. Get creative with your pieces and try and squeeze every last ounce of juice out of them! The internet is filled with content marketing clutter. Even if your content is excellent your audience may have trouble finding it. If your content is getting lost in the shuffle upon publishing and you’re not getting the traffic you hoped you would, don’t get discouraged. All marketing efforts take time and consistency. Keep on publishing, sharing, and refining your content marketing strategy. As you get into a rhythm, if your content is good and you follow the tips on this list, you’ll gradually begin to see your goals snowball towards the finish line! Content marketing is an excellent way to net organic web traffic and help your business meet its engagement and/or product goals. To be successful with your content marketing plan, we recommend practicing the tips listed above. Know your goals and audience. Publish content that’s meaningful to your audience on the channels they use. Think of clever ways to expand your content’s use and stay consistent. With that guidance, you’ll find that your pieces will gradually pick up momentum and that your content marketing plan will eventually be deemed as successful! At We Are Augustines, we are committed to creating quality content. Our material encompasses topics from business tips to lifestyle hacks and beyond. Keep your need to know satiated. Dive deeper into our content pool today!